The opportunity to visit Channel Island foxes in their natural environment is part of the success of saving island foxes from extinction. 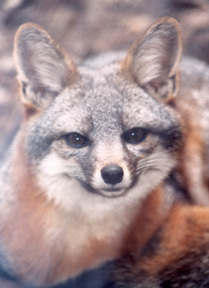 Friends of the Island Fox loves to highlight individual experiences. 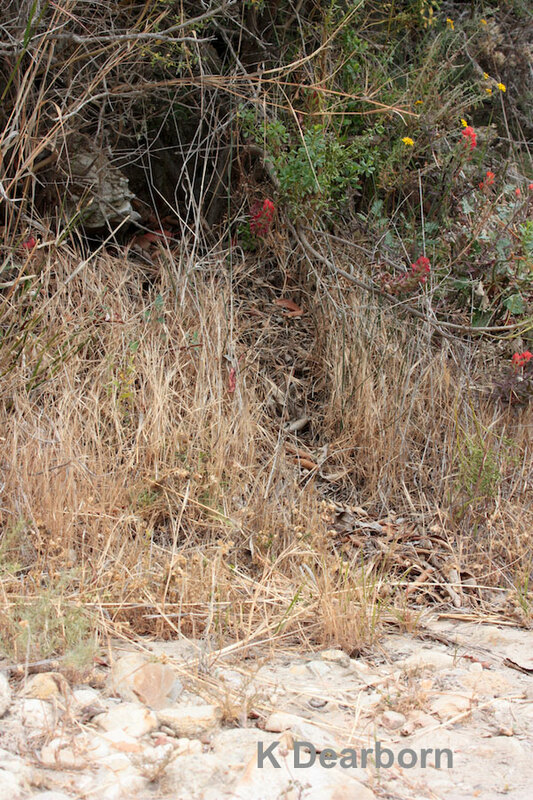 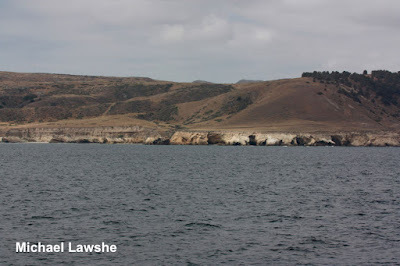 On Santa Cruz Island there are locations where you almost always see island foxes (Scorpion Campground and Prisoners Harbor). 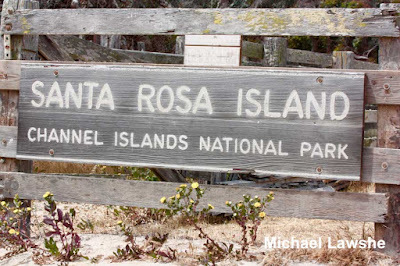 Guest writer Michael Lawshe has a different story from Santa Rosa Island. 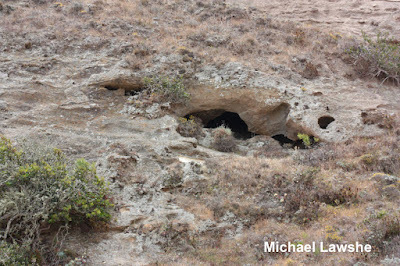 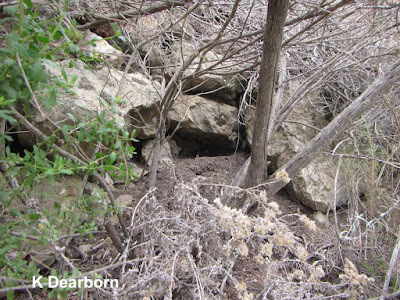 Taking a hike, we noticed dozens of great little caves and crevices in the hillsides. Sometimes you see a fox, sometimes you see where they have been! 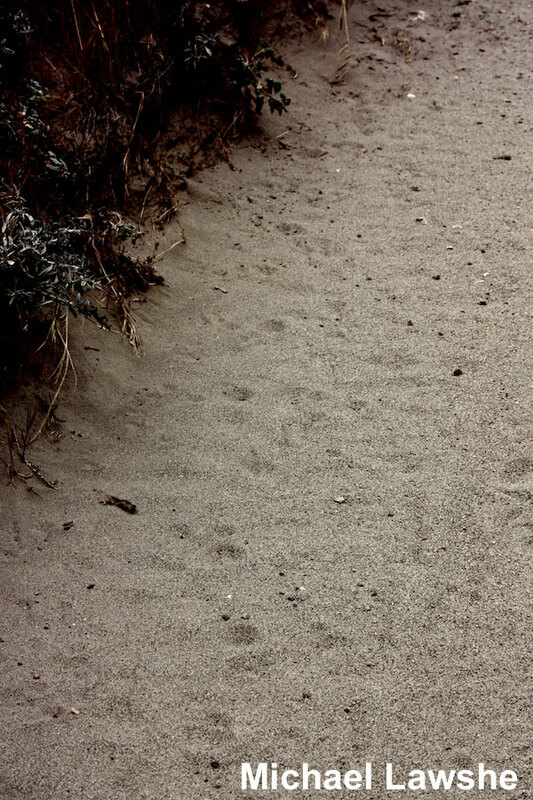 Here is a path to a secluded fox resting place. 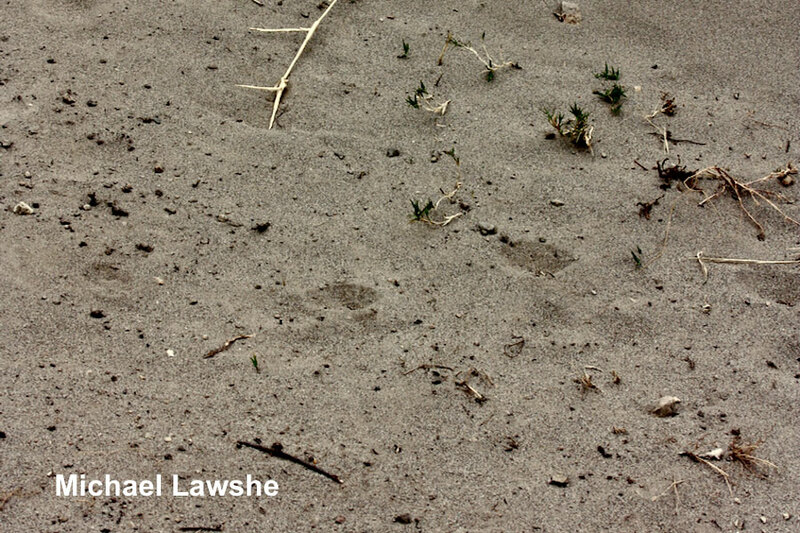 Do you see the little footprints in the sand? They're a little bigger across than the size of a quarter.